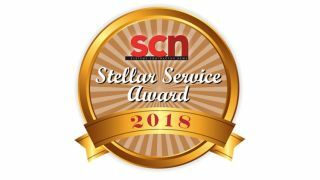 For the fifth year, we’re turning to you, our readers, to determine the winners of our SCN Stellar Service Awards. Over the next two weeks, we encourage you to take a minute to reflect on the companies that have made the difficult task of running your business a little bit easier, and thank them with a vote on our ballot. Voting will be open from now until Wednesday, March 14. Below, we’ve listed all the candidates for each category. Please take a moment to read through the descriptions and vote here. The winner will be announced in our 2018 Spring Special Edition of Systems Contractor News. The Control4 Pakedge Certified Network Administrator (PCNA) IP network training program blends six online courses with hands-on practice using Pakedge networking equipment. The course equips participants with experience in the workings and configuration options of network routers, switches, and wireless access points to design, build, and troubleshoot networks in their customers' connected homes. It starts with fundamentals of how TCP/IP works, and continues through the logical processes for designing networks for predictable, reliable performance. D-Tools Online Training sessions are designed to facilitate a broader use and deeper understanding of the full feature set of the D-Tools System Integrator (SI) platform and enable those using the software to become proficient, efficient, and effective. Based on D-Tools’ Regional Training Curriculum, this live, instructor-led series of courses brings comprehensive D-Tools training via the web, enabling clients to take advantage of in-depth training from anywhere, through any internet-enabled device. AVAD University was established to help customers set their businesses apart from the competition and increase their industry IQ. Earning AVAD’s training program several industry awards, AVAD’s educational programs partner with industry professionals and feature onsite training sessions pertaining to business improvement strategies and product knowledge development. Technical certification courses are also offered, and all of these value-added services are available to customers at no charge. Control4 provides a comprehensive in-house training program at its headquarters location in Utah, and others around the world that provide instruction on designing and integrating Control4 smart homes, plus Triad speakers and Pakedge networking. The weeklong course includes written and hands-on education with Control4 instructors. Once passed, the participants are certified and able to utilize the Control4 Dealer Portal online to easily order product, continue training with short videos, use marketing materials, and more. Crestron differentiates its instructor-led courses from other manufacturers by focusing on the learning experience for its customers. Not only does it offer courses on the latest Crestron solutions, it focuses on what customers need the most while in the field. Each course is designed to provide relevant material and a hands-on experience. Courses maximize interactive communication and minimize “death by Power Point” by encouraging group discussions and keeping each student engaged. AVAD’s updated www.avad.com portal has entirely new features including improved search tools and enhanced product content. Dealers can place orders for pickup at one of 20 will-call branches, ship to their office, or even have their order ready at one of AVAD’s many depot locations across the U.S. Dealers can also manage their account right from AVAD.com to help with invoicing and order management. Control4's Dealer Portal is a comprehensive, easy-to-use resource for dealers to run their Control4, Triad, and Pakedge installation business. It allows them to continue their training and get help with troubleshooting remotely, as well as includes resources to help with marketing and sales activities. The Control4 Dealer Portal keeps dealers up-to-date, with information on the latest products, with promotions on select devices rotating throughout the year. The SYNNEX ECExpress eCommerce website allows dealers and integrators to easily order product online and build quotes for their customers. The portal includes an extensive product catalog with up-to-date pricing and availability; PromoCentral, which lists exclusive vendor programs and rebates; reports on previous day shipments and invoiced orders; and the ability to view invoices and pay online. Customers can easily stay on top of their orders with a mobile app for iOS or Android. Control4 delivered on its commitment to enhance and grow smart home solutions with its dealers, and consequently experienced record results for 2017 in both revenue and net income. Focusing on operational improvements and supporting materials for the growing family of brands, Triad and Pakedge, Control4's sales team supported its 5,200 custom integrators worldwide with materials, best practices for incorporating the three brands, and lead generation. Crestron’s Sales Support Services (SSS) Department is comprised of a team of experienced solution engineers and administrators, dedicated to delivering world-class service to its customers. The team can provide assistance with all technical, pricing, system design, and quotation-related inquiries; perform comparative analysis for competitive projects and quotes; provide sales tools, information, and "how-to-compete" videos and guides; and application drawings, design/best-practices guides, CAD/Visio-Blocks, Revit/BIM files, architectural, and CSI format specifications. For some, the sales process begins and ends with the sale. Metra Home Theater Group is focused on meeting customer needs, a partner for integrators from start to finish. The Metra team begins by identifying customers’ needs, taking into account technical requirements, desired outcomes, and available resources, offering responsive options. Post-sale, sales staff remain available to help connect integrators with product installation support, ensuring a seamless and excellent sales and support process. RTI’s sales team is comprised of seasoned professionals with a deep understanding of the industry. Many have owned a custom installation company previously, giving them the experience needed to successfully support dealers and distributors. RTI products are sold through a worldwide network of dedicated distribution partners, providing dealers with top-level localized sales, support, and training. The RTI Dealer Experience Team is another excellent resource for integrators looking for assistance on project consultation and technology implementations. For more than 92 years, exceptional sales experience has been at the forefront of Shure’s business. By striving for exceptional pre and post-sales support, the sales team receives real-time feedback from end users allowing Shure to better develop products that meet and exceed the customer’s needs at a competitive price. If an issue does arise, Shure’s Service Department is available to provide high-quality technical support while resolving product repairs immediately. SYNNEX is passionate about its “Customer First” guiding principles: visibility, velocity, and value. With continued trainings, SYNNEX provides best-of-breed capabilities in market knowledge, technology, and services. It offers channel partner community teams, a vertical market solutions focus, strategic vendor alignments, and even end-user demand generation. It also creates solutions that deliver long-term, sustainable relationships and continually navigates technology growth opportunities for its vendors and customers. Whether it’s a quick question about troubleshooting an installation issue or something more complex, AVAD’s award-winning Tech Support team is dedicated to providing the answers and solutions that its customers need. Its team of AV and technology experts can help with any type of audio-video request for commercial or residential projects and ensure your application is working. Crestron is committed to all of its customers. Whether you're calling about your home, business, or school, Crestron specialists are always ready to assist. On Crestron.com customers have access to live support teams and a variety of resources including technical guides, spec sheets, and manuals, available 24/7. In addition, it has an online database that is constantly updated with quality information answering its customers’ most popular questions. Customer compliments are the best measure of success and Hall Research’s Tech Support staff receives many. It trains callers with its equipment at hand and provides friendly and knowledgeable instructions. Its three-tiered escalation policy requires that customers are assisted in a timely and thorough manner. Whether pre-sales selection, programming RS-232, or troubleshooting, Hall Research looks forward to helping customers solve their AV problems. Metra Home Theater Group is committed to providing responsive, knowledgeable, practical support to its integrator community. To that end, product managers including Brent McCall personally answer the tech support line, 8 a.m. to 10 p.m., seven days per week, working through installations alongside customers. The Metra team functions as a seamless partner for complex installations, flowcharting systems, troubleshooting challenges, and developing solutions that add value for the integrator and ultimately, the end customer. Unlike most companies that have transitioned to automated systems, Shure believes excellent tech support derives from human-to-human interaction. Shure’s Product Technical Support Team offers expansive knowledge of the audio industry, a thorough FAQ, and educational library. The Systems Support Group focuses on the company’s advanced wireless and networkable products to provide in-depth expertise through free educational activities. Shure associates are available via phone or online chat making them accessible 24/7. Renowned in the industry for its superior customer service and aggressive warranty terms, Vanco has a talented tech support team available five days a week and offers a live chat feature on the Vanco website. Vanco’s advanced tech support programs and QC lab immediately identify problems with specific applications and a variety of partner products from leading manufacturers. Devices are tested in conjunction with Vanco products to help guarantee compatibility with the latest technology.